I still get shocked when I look around some of the different webmaster forums and see people asking newbie questions about how to build backlinks. This task really isn’t that hard to do, but can play a very large role when it comes to where your website is ranking in the search engines. Backlinks, whether one-way or reciprocal, make a huge impact on your search engine rankings and the more you build — The more you will get in return. A large number of quality backlinks going into your website doesn’t only help your search engine rankings, it can also send extra traffic and potential customers as well. So what is a backlink? A backlink would be considered any text or image link that is pointing back to your website from another website. So, if there was a link on the homepage of Google pointing back to your website — That would be considered one backlink. How can you build backlinks? Instead of focusing on building as many backlinks as you can, you should focus on building quality backlinks. In this process quality beats quantity any day of the week! Links going back to your website shouldn’t just be from any webpage. Your links should appear on relevant pages that aren’t full of links to other websites. If the page has links to more than ten or twenty other websites then yours won’t count for much. Use a few of the link building methods I describe below to find good quality relevant links that are guaranteed to improve your search engine rankings! 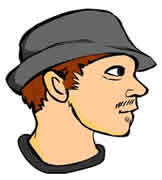 Link Exchanges – Almost every webmaster forum out there has a section dedicated to link exchanges. Just make a small post letting other members know you want to exchange links with them and let them contact you! Share your websites with each other and if they’re relevant do an exchange. He adds your website link to a page on his webpage – and you do the same in return. Social Bookmarking – This trend has really picked up over the years and there are literally thousands of social bookmarking websites across the web. Submit every article on your website into each of the top social bookmarks out there and this will generate both backlinks and traffic. Buy Backlinks – This is the most costly method of them all. But you can always visit webmaster forums and purchase relevant links from other members. Prices can range anywhere from $10/year up to thousands. Blog Commenting – This method can take quite a bit of extra time but may be helpful as well. Browse Google for other blogs in the same niche as yours. Read some of the posts and comment on them with a link back to your website. All four of these methods can be used to create backlinks. Some are free and some aren’t. Some also take more time than others. Regardless, put them all to use and you should definitely see an increase in your search engine rankings!